The Department of Justice’s Office of Legal Counsel recently published an opinionreviewing the Department’s interpretation of the federal Wire Act. Under this new interpretation of the Wire Act, a wide variety of “non-sports gambling” will now be prohibited, and online poker companies, virtual casinos, and internet betting markets will be increasingly targeted for federal prosecution. While the DOJ is giving businesses 90 days to comply with this change in the law, those 90 days will likely be followed by a wave of Wire Act prosecutions. That’s why it’s important for federal criminal attorneys and their clients to be familiar with the DOJ’s new stance on the Wire Act. Under the DOJ’s new reading of the Wire Act, any online business involved in sports or non-sports gambling can now be targeted for prosecution. Fortunately, however, there are defenses available, especially for businesses involved in non-sports gambling. As the government seeks to increase its Wire Act prosecutions, federal criminal attorneys should challenge the Government’s new interpretation of § 1084(a), which impermissibly broadens the scope of the law beyond the plain language of the statute. Federal criminal defense attorneys have plenty of ammunition to make that argument. In addition to the DOJ’s previous position that the Wire Act is limited to sports gambling, the Court of Appeals for the Fifth Circuit decided in 2002that the Wire Act applies only to sports betting, holding that the “plain reading” of the Wire Act “clearly requires that the object of the gambling be a sporting event or contest.” The First Circuit agreed with this decisionas recently as 2014. It is also a defense to argue that the government cannot prove beyond a reasonable doubt that a defendant in a Wire Act prosecution acted with a criminal intent, meaning that the defendant knew that he was transmitting wire communications that contained information about bets and wagers. A defendant also has a valid defense if he or she can prove that the information they transmitted through the wires was for the purposes of reporting the news. If you or your business are involved in the gambling business, the DOJ’s decision to target non-sports gambling through the Wire Act should be a cause for concern. 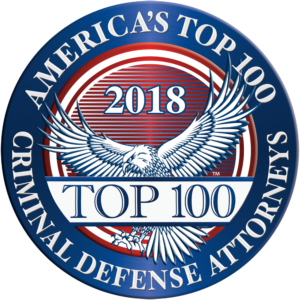 It is important to contact an experienced federal criminal attorney who can advise you as the DOJ changes its enforcement priorities, and to defend you if you are targeted for a Wire Act prosecution.